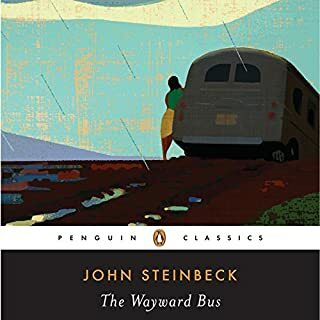 In his first novel to follow the publication of his enormous success, The Grapes of Wrath, Steinbeck's vision comes wonderfully to life in this imaginative and unsentimental chronicle of a bus traveling California's back roads, transporting the lost and the lonely, the good and the greedy, the stupid and the scheming, the beautiful and the vicious away from their shattered dreams and, possibly, toward the promise of the future. This edition features an introduction by Gary Scharnhorst. Today, nearly 40 years after his death, Nobel Prize winner John Steinbeck remains one of America's greatest writers and cultural figures. We have begun publishing his many works for the first time as Penguin Classics. This season we continue with the seven spectacular and influential books East of Eden, Cannery Row, In Dubious Battle, The Long Valley, The Moon Is Down, The Pastures of Heaven, and Tortilla Flat. In awarding John Steinbeck the 1962 Nobel Prize in Literature, the Nobel committee stated that with The Winter of Our Discontent, he had “[R]esumed his position as an independent expounder of the truth, with an unbiased instinct for what is genuinely American". In 1943 John Steinbeck was on assignment for The New York Herald Tribune, writing from Italy and North Africa, and from England in the midst of the London blitz. In his dispatches he focuses on the human-scale effect of the war, portraying everyone from the guys in a bomber crew to Bob Hope on his USO tour and even fighting alongside soldiers behind enemy lines. Taken together, these writings create an indelible portrait of life in wartime. 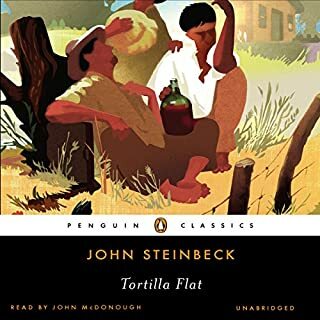 Adopting the structure and themes of Arthurian legend, in Tortilla Flat John Steinbeck creates a Camelot on a shabby hillside above Monterey on the California coast and peoples it with a colorful band of knights. 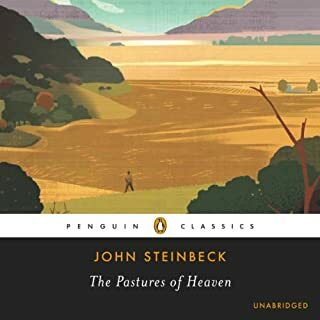 As he chronicles the thoughts and emotions, temptations and lusts of the knights, Steinbeck spins a tale as compelling as the famous legends of the Round Table. The Log from the Sea of Cortez is the exciting day-by-day account of Steinbeck's trip to the Gulf of California with biologist Ed Ricketts. Drawn from the longer Sea of Cortez, it is a wonderful combination of science, philosophy, and high-spirited adventure. More than three decades after his death, John Steinbeck remains one of the nation's most beloved authors. Yet few know of his career as a journalist who covered world events from the Great Depression to Vietnam. Now, this original collection offers a portrait of the artist as citizen, deeply engaged in the world around him. 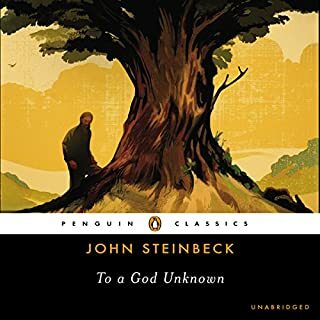 In addition to the complete text of Steinbeck's last published book, America and Americans, this volume brings together for the first time more than 50 of Steinbeck's finest essays and jouralistic pieces. Really good Steinbeck journalism.....no kidding! "Free men cannot start a war, but once it is started, they can fight on in defeat." This compelling, dignified and moving novel was inspired by and based upon the Nazi invasion of neutral Norway. Set in an imaginary European mining town, it shows what happens when a ruthless totalitarian power is up against an occupied democracy with an overwhelming desire to be free. Raised on a ranch in northern California, Jody is well-schooled in the hard work and demands of a rancher's life. He is used to the way of horses, too; but nothing has prepared him for the special connection he will forge with Gabilan, the hot-tempered pony his father gives him. With Billy Buck, the hired hand, Jody tends and trains his horse, restlessly anticipating the moment he will sit high upon Gabilan's saddle. But when Gabilan falls ill, Jody discovers there are still lessons he must learn about the ways of nature and, particularly, the ways of man. Steinbeck maybe about his youth? From the mid-1650s through the 1660s, Henry Morgan, a pirate and outlaw of legendary viciousness, ruled the Spanish Main. He ravaged the coasts of Cuba and America, striking terror wherever he went. Morgan was obsessive. He had two driving ambitions: to possess the beautiful woman called La Santa Roja and to conquer Panama, the "cup of gold". Steinbeck and Capa's account of their journey through Cold War Russia is a classic piece of reportage and travel writing.Just after the Iron Curtain fell on Eastern Europe, Pulitzer Prize-winning author John Steinbeck and acclaimed war photographer Robert Capa ventured into the Soviet Union to report for the New York Herald Tribune. Would you listen to In Dubious Battle again? Why? Yes, great story of the ever present struggle of Little Man and Big Man and how Group Man must be smarter than Small Men are dumb. Didn't want to "put it down", but it is pretty heady stuff, so you might need a break in the middle. I'd call this a political thriller. Was amazed at how relevant it still is. 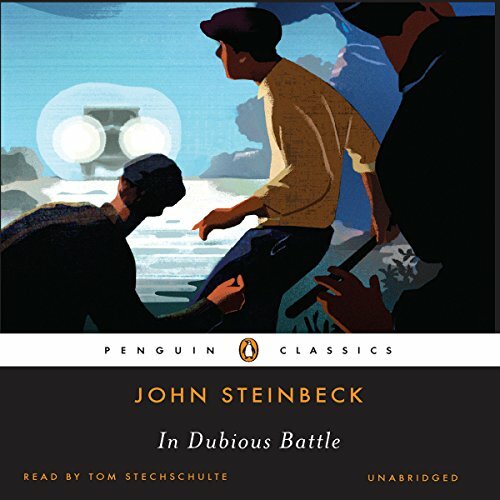 Steinbeck's command of story and character is excellent, as is the narrator's performance. Highly recommended, even for a first timer to Steinbeck. 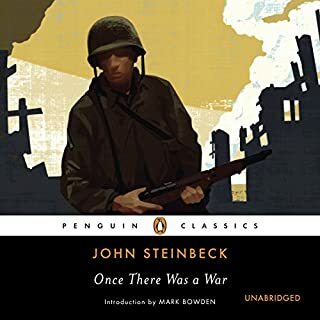 I'm new to audiobooks and Steinbeck, listened to Of Mice and Men and absolutely loved it. I do like how Steinbeck writes and describes everything. In Dubious Battle comes and goes with me. At times I really like the story then at times I feel like the story just keeps going and going and doesn't get anymore interesting. I have about 3-hrs left but doubt my opinion will vary much upon completion. However, I plan on listening to East of Eden and would like to listen to more Steinbeck. I would just think that there are better Steinbeck's out there. The narration is very good though. loved it! it was another awesome story from John steinbeck. from an Era that he does so well! highly recommend if you love john steinbeck do not miss this book! What an Incredibly realistic Journey into the Heart of a different American dream. 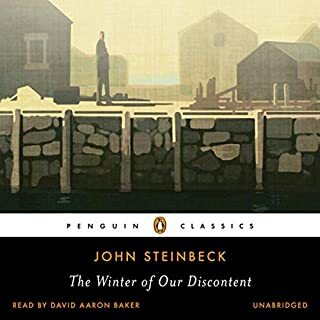 This was, by far, the easiest book I've ever listened to, and I am now thoroughly addicted to John Steinbeck. What an insightful author. Rave reviews for the gentleman that read this as well. Bravo! The best. absolutely loved this one. such a great story, great performance by Tom stechsulte. made it seem like there was more than one person reading the story. selfless attempts to get decent wages for working. If you could sum up In Dubious Battle in three words, what would they be? What was one of the most memorable moments of In Dubious Battle? memorable is not the word. but i found these men had high values and they were selfless. they were fighting for every wage earner that was not being paid fairly for their work. wonderful. and the reader brings a lot to the book. five star reader! this was not one of my favorite steinbeck books, but still i rated the story a 4. i think steinbeck could write a good book in his sleep. he just can't go wrong. he had so much talent! Written and published in the heart of the depression before his literary star exploded, this novel establishes his understanding and empathy with the common people suffering in this extreme economic period. The great abundance of available labor fostered extremely inequitable employment situations for most people. Many were forced to accept starvation wages. We, who were there to witness these times in person, are able to see the detail and the daily suffering in “In Dubious Battle.” Steinbeck sets the story in the apple orchards of northern California. His telling of the story rings with such an authenticity that lets the reader know that this story could be in any industry in any part of the country during the great economic tragedy of the times. He exposes the excess of both sides of the labor dispute, the growers taking unfair advantage of the labor situation to fatten their wallets, and the union organizers (in this case communists) who blithely expose the workers to extreme risk. This is another of JS’s dialogue-driven novels. He uses the vernacular of the depression era manual labor class to give his characters creditable reality. His narratives using the characters own word are terse and intense. Expect a short but intense novel-reading experience. even though it was a school assignment it was very entertaining and a very good read.